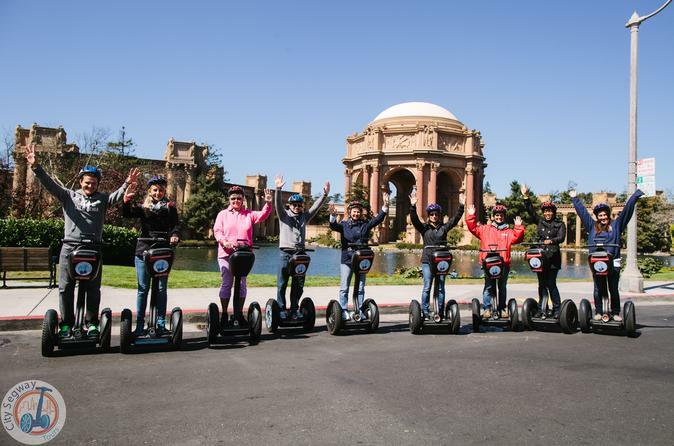 Venture onto the streets of San Francisco for a small-group tour of city highlights. At your scheduled departure time, meet your guide near Pier 45 at Fisherman’s Wharf. After a 30-minute orientation session, set off on your personal transporter. Each route offers plenty of photo stops along with informative commentary on the city’s fascinating history before returning to the pier. Take in views of the Golden Gate Bridge and Alcatraz from Fisherman’s Wharf. Glide past Ghirardelli Square, world-famous for its chocolate, and see the historic marine vessels at Aquatic Park’s Hyde Street Pier. Your guide also points out an authentic San Francisco cable car. In addition, see Spreckels Mansion and the Palace of Fine Arts while you glide through the Marina District.